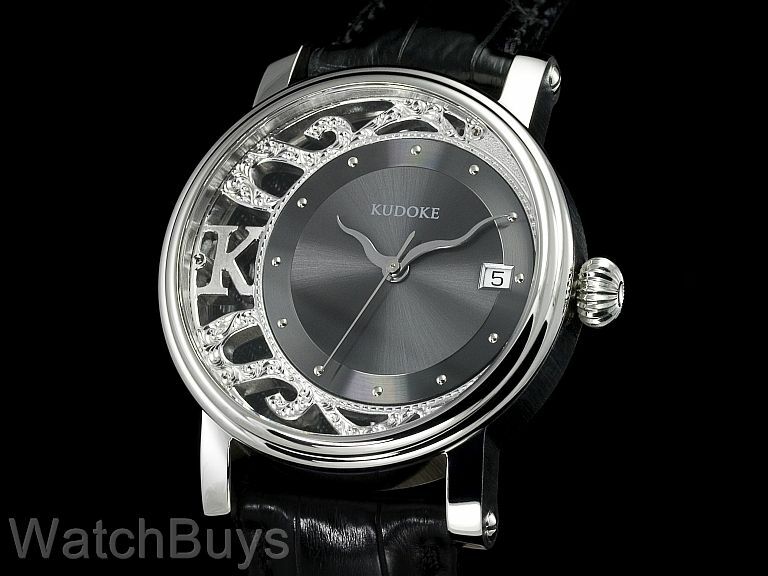 This is one of our favorite watches from Master Watchmaker Stefan Kudoke, and the name is exactly what this watch is all about - The Ex Centro Rhodium. While doodling in his notebook of new watch creations and complications, Stefan envisioned an all new watch design with the movement and dial off center. He further wanted to create a watch that was part skeleton, part standard dial. Finally, he wanted to create a watch that would be different from anything else on the market. The Ex Centro Rhodium is one of the most unique watches we have carried, and has quickly become a WatchBuys favorite. Let's start with the front - Stefan has created a unique skeleton frame decorated in white rhodium, all by hand. 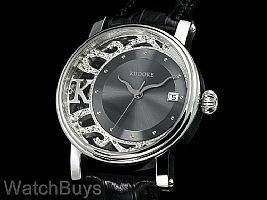 Be sure to expand the pictures above to see his intricate designs and patterns, and note that he has signed the movement by engraving a "K" just to the left. This skeleton frame anchors the movement and the dial, both of which reflect Stefan's unique styles. The hands are made completely by hand, and are a serpentine pattern. The hours are indicated by embedded steel "dots". The dial is a deep anthracite color that is striking in both light and dark environments. Now to the back. 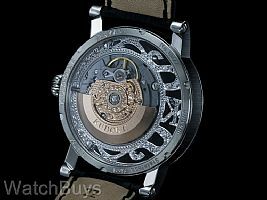 Stefan's hand engraving on the movement, rotor and frame are nothing short of remarkable. 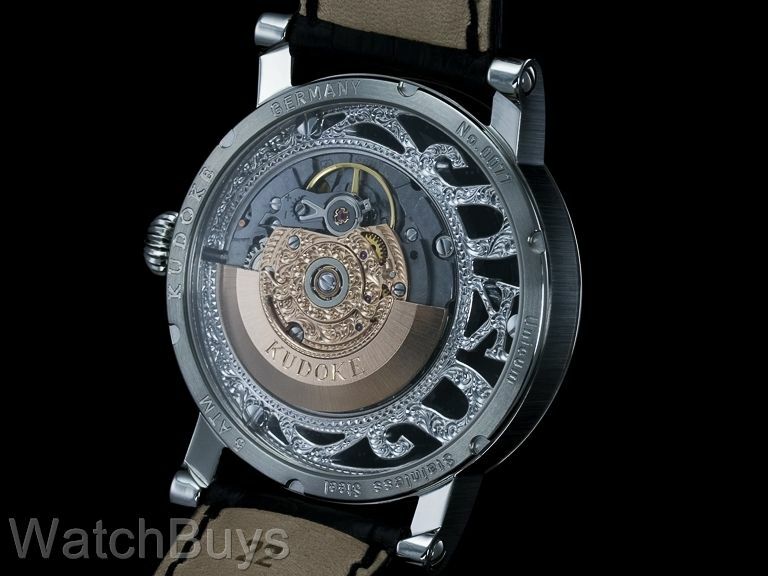 He has used red gold to color the movement such that it contrasts nicely with the white rhodium. We remember seeing the prototype of this watch for the first time in Stefan's workshops in Frankfurt Odor, Germany, and all we could do was stare. It's that type of watch. The Ex Centro Rhodium proves again why Stefan Kudoke is a breath of fresh air to mechanical watchmaking.